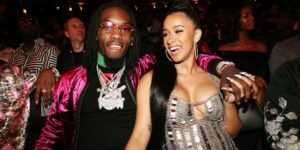 The Rap Up, Brantford: CARDI B AND OFFSET ENGAGED!! Who could’ve guessed? The two hip hop dominating power couple of this generation are engaged! You heard it right folks, Bodak’s Yellow and Bad and Boujee rappers are officially engaged! The proposal took place infront of a huge crowd of fans that filled up the arena at 99 Powerhouse concert. The two were performing on stage in Philadelphia when Migos’ Offset took a knee and dropping the line “You dig?” while pulling out one of the most brightest rings we have ever seen (8 carats to be exact). Caught on camera from thousands of fans, Cardi B was more than happy as she screamed in excitement while she put her hand out. So yes guys, the two hottest rappers in the game right now are soon to be setting a wedding date as well. The infamous couple are known for their well known songs that have made jaw-dropping records on the charts. As a member of Migos, Offset managed to make hits off their notorious songs “T-shirt” and of course “Bad and Boujee“. Cardi B is known for her “Bodak Yellow” track which has been dominating charts worldwide recently as well as her other songs such as “Lick“. Cardi starting off on Love Atlanta and Hip Hop New York Artist helped her make a path for her notorious rap career which will also soon lead to an album later this year. Offset came along the way and now the two are not only happily married but as well as happily making hip hop records together!